Embark on a thrilling exploration of the iconic top end of Australia and the exotic islands of Indonesia on this 14-day specialty scuba-diving and wellness expedition aboard the luxurious Silver Discoverer. Departing Cairns on 04 October 2016, Silver Discoverer sails to Lizard Island and Ribbon Reef in the picturesque Great Barrier Reef, a World Heritage Site, where guests can explore the stunning submerged ecosystem and encounter spectacular marine life, with Silversea Expeditions' first-class diving and snorkelling expedition team. Silver Discoverer then sails to the secluded and uninhabited island of Little Boyndong Reef a nesting site for Pied Imperial Pigeons. While here, guests are offered the opportunity to enrich their travel experience with an onboard lecture from Silversea's expert marine biologist who will introduce guests to the many inhabitants of the reef. 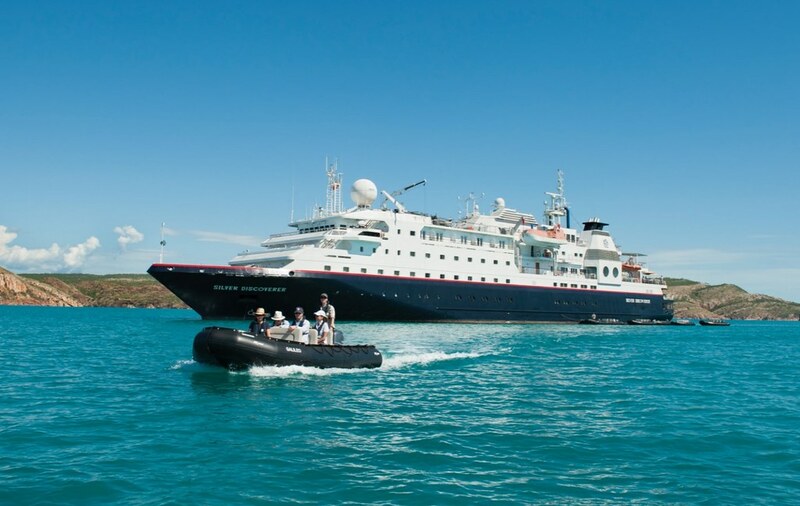 Silver Discoverer continues her journey along the rugged coastline of northern Australia porting at Thursday Island, before travelling to the treasured havens of Galiwin'ku, Elcho Island, Seven Spirit Bay and Tiwi Island. Here, guests can marvel at the traditional Aboriginal rock art, experience a totem dance and discover local cultures, with the rare privilege of a visit to the ancestral Arnhem Land, granted by Tribal Elders. Anchoring in the majestic capital of the Northern Territory, guests can visit the George Brown Botanic Gardens or the Crocosaurus Cove, join a "heritage walk" around the harbour or soak up the sun at the famous Mindil Beach. Silver Discoverer then sets sail toward the breathtaking Indonesian islands of Alor, Kabaena and Sulawesi. Guests can explore the spectacular reefs with a diving or snorkelling adventure, enjoy a traditional cultural performance at the hilltop village of Takpala, or relax on the white sandy beaches whilst admiring the breathtaking landscapes of ancient volcanoes. Within these rarely visited locations, guests will be welcomed by a village Chief, view stilt houses and view a myriad of endemic bird species such as the Sulawesi Serpent Eagle. An overnight tour to Tana Toraja allows guests to explore Torajaland, where the "Stonehenge of Indonesia" awaits, as well as hanging graves and the rice barns that belonged to the area's royal family. This voyage then concludes in Balikpapan, Indonesia, with guests disembarking on 18 October 2016. As a speciality scuba-diving* expedition, experienced divers onboard are afforded the opportunity to see the top diving sites together with our Expedition Team and Dive Masters. Aboard Silver Discoverer, a team of experts which includes marine biologists, environmentalists, ecologists and geologists will be on hand to share their extensive knowledge of the region. A dual scuba and wellness voyage is also designed to improve your well-being by providing a complete onboard programme of Yoga and stretching classes, spa treatments and daily healthy menus. For all bookings received and paid for in full before 10 December 2015, guests can take advantage of Silversea's 10% early booking bonus. Prices are per person, starting from AU$15,250 in an Explorer Suite based on double occupancy. Silversea Expeditions' fares include: all shore and Zodiac excursions hosted by an expedition leader; all-suite accommodation with butler service; gourmet meals with menus inspired by Relais & Châteaux; complimentary wines, Champagne and spirits served throughout the ship; an outstanding expedition team of expert guides and lecturers; complimentary WiFi and all gratuities. *The exact days and dive locations are determined by tides, local conditions and the onboard Dive Masters. Space is limited and guests must prove their requirements of diving certification.